A deal to electrify the valley lines in South Wales has recently been announced, with the cost of the project being shared by the governments of the UK and Wales. The electrification of these lines is expected to start by 2019 and it is hoped that once this work has been completed it will have a real impact on travel times for commuters. At the moment it takes well over an hour to travel between Merthyr Tydfil and Cardiff by train, but this will be reduced to around fifty minutes once the lines become electrified. The work will also include a completely electrified line from London to Swansea, which means it will not just be quicker to travel in Wales; the travel times to locations in England will also be reduced. It is anticipated that this will open up many more career opportunities for those who live in the valleys. Project leaders are hoping that the electrified line will also lead to a more reliable service. The lines will have new trains when the electrification has been completed and, being new, these trains will be less likely to suffer from breakdowns or mechanical problems than the older trains which are currently in use. The new trains will also be able to carry more passengers, meaning that the capacity that these routes can accommodate will be increased. When both of these factors are combined, this will make the new electrified routes very attractive to commuters, and people who do not currently use the train to get to work may start considering it as an option, lowering the pressure felt on the country’s road network. While all these benefits will be enjoyed in the long term, there will undoubtedly be some disruption in the short term while the work is being carried out. Naturally the powers that be are aiming to reduce this upheaval as much as possible by carrying out work on the lines at the weekends or overnight. Overnight work is made possible when the engineering company hire a lighting tower and generators to bring power and lighting to sections of track where these necessities for night work currently don’t exist. The electrification of the valley lines in South Wales will make life a lot easier for commuters, and will provide a boost to the economy of the area as a whole. Reduced travel times and the introduction of a reliable service will open up a whole new pool of opportunities for people who live in the valleys, as they will now be able to look further afield for work. People may also begin to use the new electrified route for travelling for leisure and this can boost tourism to these areas, which will have a positive effect on the economy. So, despite the inconvenience that will be felt while the work is carried out, those who are lucky enough to live along the route can look forward to a greatly improved service that will cut their travel times substantially. Construction workers have traditionally worked under extremely difficult conditions. There are plenty of regulations in place to protect builders and labourers, but many building sites do not live up to those regulations. Sometimes, making the necessary improvements can be as simple as making the decision to hire a generator to provide adequate lighting. In other cases, business owners will have to completely reorganise their construction sites and training protocols. Creating a safer and healthier workplace sometimes comes down to training employees the right way. Far too many construction sites skimp on employee training, and many work-related accidents follow. Other times, building sites use toxic or contaminated materials, putting their employees at risk each and every day. 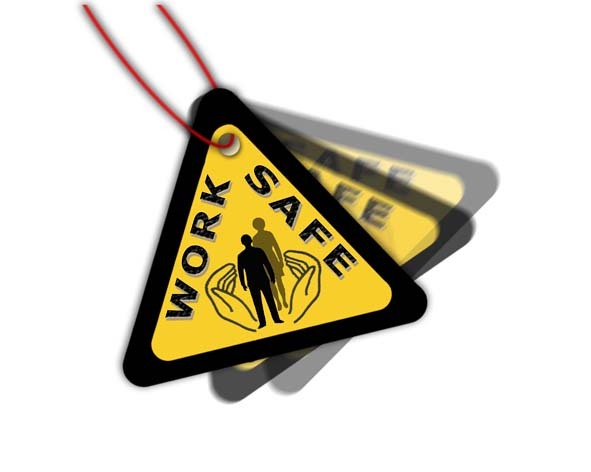 The workplace environment of many construction sites in general is unsafe due to the nature of the work involved. Fortunately, business owners can take certain steps to provide a safer working environment for their employees. There’s plenty of safety equipment available that can help construction sites reduce the number of accidents that occur. Employees need to be trained to use that equipment, and business owners need to make sure the equipment is new and in good condition. The scaffolds and ladders used in construction sites will have to meet certain standards. A surprising number of accidents on construction sites happen because of insecure or inadequate scaffolds and ladders. Many site workers have been chucked off worksites for not having the right clothing with them by health and safety inspectors. Ensuring that each and every one of your workers has hi-vis, hard hats and steel toe cap boots may seem like you’re being overly officious, but losing half a dozen workers could easily bring a project to a halt so it’s a point well worth making. Construction workers are at risk of developing long-term lung ailments as a result of silica and asbestos exposure. Often, after construction workers have been exposed to silica and asbestos for a sufficiently long time, their bodies will be functionally unable to repair the damage. Business owners absolutely have to take steps to curb these pollutants. There are plenty of services that will remove asbestos from the premises of a building or a construction site. Building sites will also have to avoid using insulation or other materials that contain silica or asbestos in order to properly safeguard their employees. Many business owners and members of the general public fail to appreciate how potentially damaging noise pollution can be, since noise pollution is a problem that doesn’t get enough discussion. 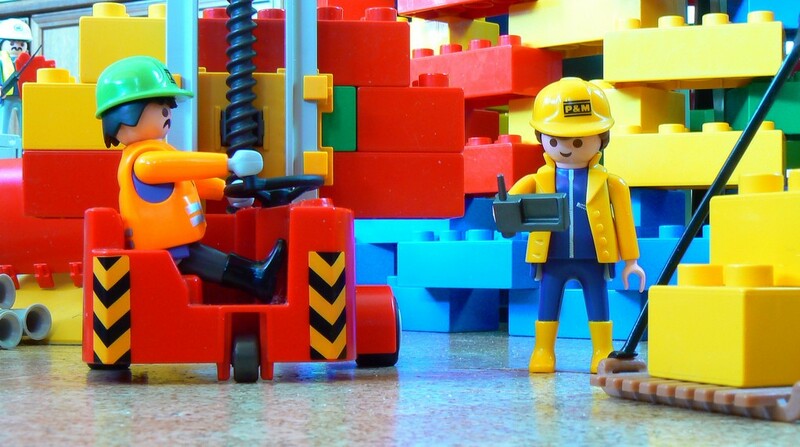 However, a number of construction workers suffer hearing damage on an almost daily basis, and many of them lose their hearing altogether with time. Businesses that want to protect their employees from the effects of noise pollution can approach the issue in a number of ways. For one thing, it is important that they issue appropriate ear protection for their workers. Construction workers should be wearing earmuffs, earplugs, or both. Some construction sites may have outdated equipment that produces too much noise, and business owners may be able to upgrade their equipment in order to reduce the noise pollution that their construction sites produce. There are plenty of established safety measures when dealing with heights. In many cases, it all comes down to training. Construction workers that aren’t used to heights are going to make more mistakes, and business owners need to invest the time and energy in training their workers to properly cope with heights in the first place. They can prevent many different accidents that way. Most workplace accidents are not completely random. Construction work involves a certain level of risk, but many of these risks can be reduced. Business owners have the power to make their workplaces cleaner, safer, and better. 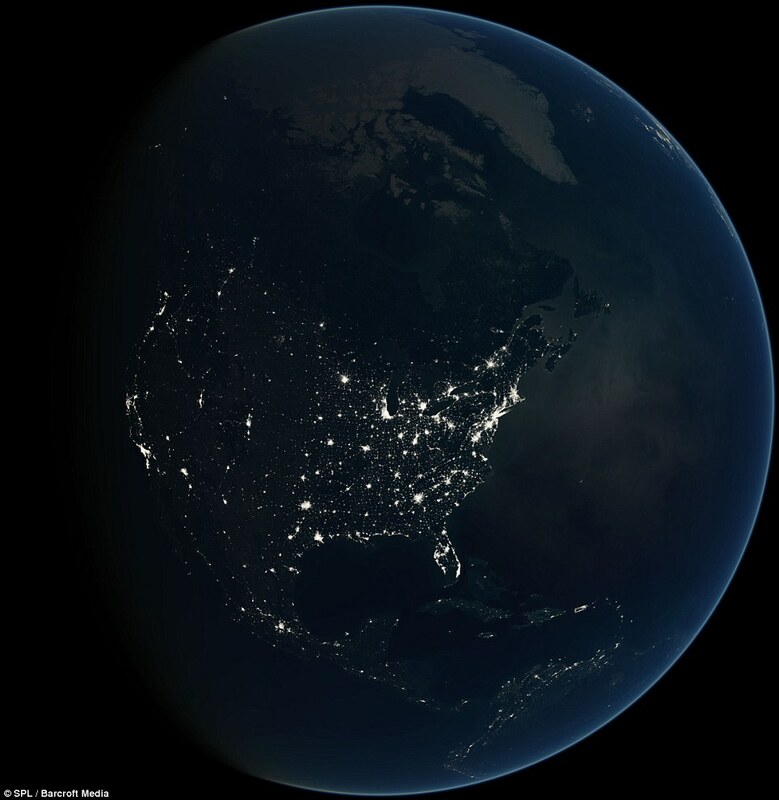 The increase in the use of electricity worldwide is almost awe-inspiring. There are maps in which illuminated regions represent the electricity usage of those areas and the contrast between nations and cities that use a lot of electricity and those that don’t, can be visually dramatic in that context. Some cities are becoming infamous for the amount of electricity they produce and consume, although with growing public awareness of green issues, many are trying their utmost to limit their energy consumption. The production and consumption of electricity in a given city is largely going to be a function of that city’s population levels. The cities that produce and consume the largest amounts of electricity are among the most populous in the world, and their electricity production is an attempt to meet the needs of their citizens. Other cities are led by officials that have specifically tried to make their particular cities major electricity producers for whatever reason. Power generation can stimulate the local economies within cities, providing jobs and income streams. Adding lighting towers, generators, and other structures can be the first step forward for cities that are trying to achieve rapid economic growth. New York City developed the reputation as the city that never sleeps a long time ago. The fact that NYC consumes and produces a huge amount of electricity shouldn’t really surprise anyone. Interestingly, The Big Apple is also regarded as a relatively environmentally friendly city. In a lot of the United States, the population relies on private transportation instead of public transportation, but New York City is one of the exceptions to the rule. Tokyo is another world leader in energy production and consumption. Interestingly enough, many Tokyo citizens actually monitor the anticipated daily electricity demand, or the electricity forecast. It is possible that this new practice will reduce Tokyo’s energy consumption substantially. Tokyo has aspirations to be a much more environmentally conscious city, and this new practice is partly an effort in that direction. While Dubai currently consumes a very high level of energy, sustainability is quickly becoming a priority there. Nearly three quarters of the energy that Dubai produces is then consumed by energy inefficient buildings. As such, there is a great deal of emphasis in Dubai on constructing green buildings that use energy in a much more sustainable manner. By itself, London produces eight percent of the carbon dioxide emissions in the United Kingdom, which speaks volumes about the electricity consumption in the Capital. However, policymakers in London and beyond are trying to reverse that trend, with ambitious plans to reduce those emissions by sixty percent within the next ten years. It is possible that the same cities today that are known for their energy consumption will be known for their renewable energy production in the future. They may soon become the greenest and cleanest cities in the world. However, persuading developing countries to follow suit, as they strive for bigger and better things, will remain a challenge for many years to come…. When you’re planning your next construction project, it helps to be inspired by looking at the great construction masterpieces…. That’s the phrase that comes to mind when you see a wonderfully constructed building. And whether the tools used were the pitched-brick vaults of Mesopotamia, the lime mortar and pulleys of the Greeks, or even the used lighting towers/generators of modern times…what captures our attention is the end result: a fantastic building. 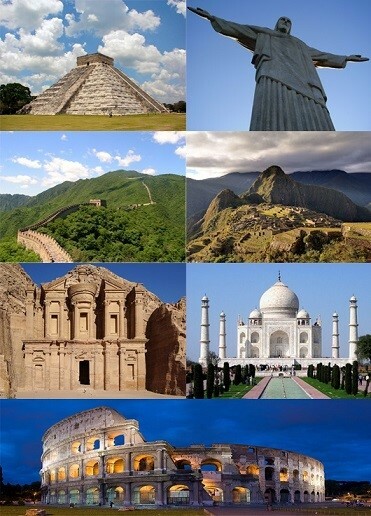 To celebrate this fact, this article will look at 5 amazing construction masterpieces from around the world. #1 One World Trade Center, New York – The One World Trade Center is the tallest skyscraper in the Western Hemisphere. Initial construction began in April 2006, was completed five years later in 2013, making the One World Trade Center the fourth tallest skyscraper in the world. And standing at a symbolic 1,776 feet (commemorating the year of USA’s declaration of independence), this building stands proudly right next to New York’s beautiful memorial. #2 Leaning Tower of Pisa, Italy – Known around the world for its famous tilt, the Leaning Tower of Pisa is one of the most remarkable architectural structures in Europe. Begun in 1173, it took an outstanding 300 years to be completed. And alongside massive tourist interest, these is also substantial controversy over whether its architect was the artist Bonnano Pisano, or the architect Diotisalvi. #3 The Shard, London – Begun in 2009 and completed in 2012, The Shard – aka ‘the shard of glass’ – is Western Europe’s tallest building, and the second tallest free standing structure in the UK. Designed by Renzo Piano – an Italian Pritzker prize-winning architect, and one of TIME magazine’s 100 most influential people in the world – The Shard’s exterior boasts 11,000 glass panels…the equivalent of eight football pitches or two-and-a-half Trafalgar Squares. #4 Colosseum, Rome – The Colosseum is considered around the world to be one of the greatest architectural feats achieved by the Ancient Romans. With construction beginning in 72AD and completing in 80AD, this 50,000-seater stadium is a magnet for thousands of tourists each year to Rome. In fact, the Colosseum is Rome’s most popular tourist destination, with multitudes of travellers visiting to behold the infamous battleground of the Gladiators. #5 Taj Mahal, India – Built as a tomb for the wife of the Mughal Emperor Shah Jahan, the Taj Mahal – aka ‘the jewel of Muslim art in India – is a truly remarkable construction masterpiece. With construction on the mausoleum beginning in 1632 and completing in 1648, the Taj Mahal is an amazing amalgamation of Persian, Turkish and Indian styles. So inspirational was its design that it took a further five years to finish the surrounding buildings and gardens to complement its appearance. So regardless of the scope of your project – and even if you’re creatively deploying your budget by purchasing used lighting towers or generators – remember that the only limit isn’t the tools you use…but the imagination with which you use them. Festival themed parties are the hottest thing right now. Even Kim Kardashian and Kanye West planned a Coachella music festival themed first birthday party for their daughter North. 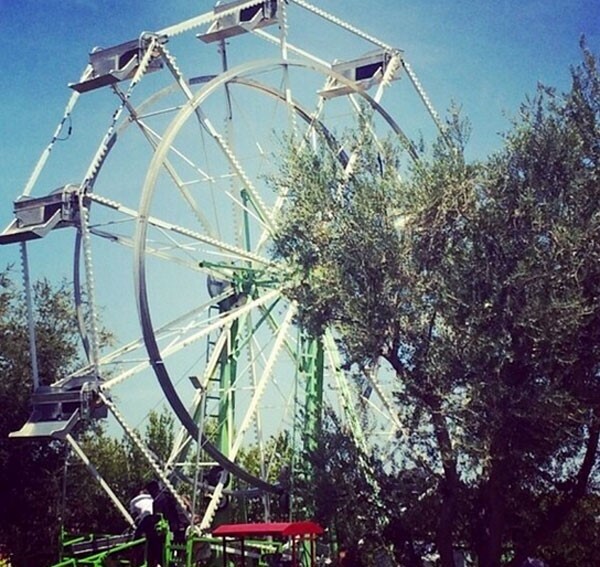 Sadly most of us can’t afford a Ferris wheel – or fit it in our garden for that matter! So to get in on the trend, how do you throw your very own mini festival? Unless you have a huge back garden it is unlikely you will be able to hold the festival party at home, so where would work best? Do you know a friend with a large garden or some land you can hire? Or if you are worried about facilities you could do it inside at your local community hall. Wherever you decide to throw your festival, make sure to consider essential elements such as toilets and parking facilities. You wouldn’t want something so simple to ruin the day. 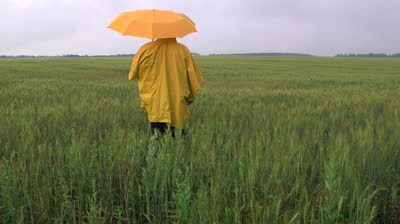 Even if you were born in the middle of July, sadly with the British weather you cannot guarantee it won’t rain. So make sure to check the weather in advance and plan accordingly. No one wants a wash out. How much money are you planning on spending? If the sky’s the limit, then rent out a load of fairground equipment, build a stage for the hired entertainment and create a poster for the line-up. For those on a smaller budget, get a friend to dress up as a clown, ask a local band to provide the music in exchange for the exposure and book a bouncy castle. You don’t have to spend a fortune to have fun! If you are planning a lot and have an outdoor location you may want to consider how you are going to power this entertainment when there is no electricity switch in sight. Renting used generators or used lighting towers may be a necessity. Most festivals will have stages lined with food carts and trucks, selling everything from hotdogs and beer to cooked dinners inside a giant Yorkshire pudding. So what will you dish up at your party? Mini burgers are always a favourite, and they don’t require any crockery, so less washing up to do! Serve them with cones of chips, bowls of crisps and sweet treats like cupcakes and toffee apples always go down well. – Instead of giving your guests a birthday party invite send them tickets to get in. – Set up a few tents with plenty of soft cushions inside for any tired guests, whether that is napping toddlers or adults who have had one-too-many beers. -Put out plenty of garden furniture if you are planning an outdoor party, no one enjoys eating standing up – even at a real festival. -Complete a line-up and display it clearly, such as on a chalk board. This way your guests will know when to come off the bouncy castle and enjoy a live show. So will you be throwing your very own festival themed birthday party, or maybe one for your kids? Have fun! We’ll be expecting an invite soon…. At the end of the day, when all is said and done, most projects rise or fall on the amount of money available to fund them. And when a project is of the type requiring you to run a construction site…this is especially the case. That’s because a construction site is the type of creature that, if you’re not careful, will swallow your budget in one gulp before you’ve barely gotten started, and continue demanding more…even beyond the point that it’s drained you dry of everything you’ve got, thats the bad news…. #1 Start With A Plan – it’s been said before, but it’s worth saying again: failing to plan is planning to fail. Before you embark on your construction project, you need to be explicitly clear on exactly what you want, how you want it, when you want it…and the plan you’re going to follow to get it. After all, if you don’t know where you’re going before you set out on a journey, how will you know when you get there? And knowing when you get there is important, because – just like a meter running in a taxi cab – the longer your construction project goes on, the more it is going to cost you. So you need to have a comprehensive detailed plan that expresses your vision, goals and objectives…as well as demonstrating the step-by-step path to realising them. Now if this all sounds a bit overwhelming, that’s only because you’re looking at it through the lens of having to figure it all out by yourself. #2 Build A Team For The Task – To turn your dream into a reality will require the input of a team of experts. Accountants, financial advisors, architects, project manager, tradesmen…the greater the scope of your project, the broader the spectrum of expertise required in your team. And as you share your ideas and goals with your team, they will help you turn the metaphorical ‘sketch on the back of a napkin’ into a detailed blueprint that can be followed step-by-step to turn your vision into a reality. But there is one caveat to this, which is found in the third – and most vital tip. #3 Create A Budget And Stick To It – This is where many projects rise to success or collapse in an expensive heap of failure…and the reason why you need to be brutally honest and ruthlessly realistic when creating a budget that you are going to commit to. Without this level of commitment, costs will very quickly spiral out of control and cause your project to fall into disarray. However, often times this is easier said than done. And so a great deal of creativity needs to be employed to find ways of completing the project within the boundaries of the budget. One of these creative tactics used is in the costs of materials and building tools.Now whilst there can be a fine line to be walked between quality and expense when it comes to materials…this line is a lot broader when you consider the tools used in the process of construction. And one major strategy during the planning stage is to seek out “used welders” or “used generators for sale” listings in order to find second hand tools that still provide first class performance.And if you work closely with your team to identify every single tool and resource that would be required to deliver the full scope of your construction project…seeking out second hand building tools can be a way to stop your construction site from draining you of “money, money, money”. Organising an event can be very complicated, especially if you haven’t got much experience doing so. This can become even more difficult when you have to consider the great outdoors – but luckily for you, we’ve put together this checklist to ensure that you have everything you need to hold a successful event. 1. The Venue – is the space large enough, is there ample parking (if necessary), is it easily accessible, is there a limit on people allowed in the area, can you hold the number of trailers/ stages you want? This all needs to be determined prior to booking. 2. What’s the weather – you may not be able to see into the future, but you can use common sense to determine the likelihood of it being wet or cold and make arrangements around this. If your event is in the winter then heaters and shelter should be a priority. 3. 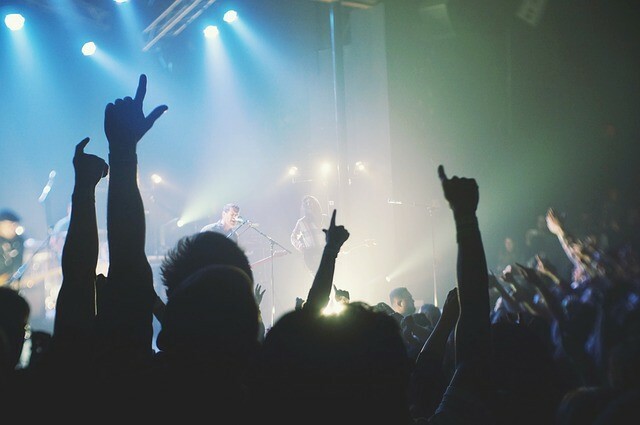 Safety Check/ Insurance – as organiser it is your job to ensure that nothing goes wrong, which is why you will need to conduct a safety check of the venue and ensure that you have the appropriate insurance in place. You will also need to ensure that all potential hazards are dealt with appropriately and have proper first aid measures in place. 4. Road Closures – if you’re holding a particularly large event then you may need to consider whether roads need to be shut. You will have to talk to the local government authority and police to seek approval and assistance – this should be done at least three months prior to the event but the more notice your provide the better. 5. Hire a generator – outdoor events don’t tend to have easy access to electricity, which means that you will have to find power from other sources. Diesel generators are a great way to provide portable power to almost anything you need it for and you can tailor the size based on your needs. 6. Hire a lighting tower – events that go on late into the night will need to find light from somewhere and lighting towers are perfect for this. You can hire a few in order to create an even spread over high traffic areas or simply use them to make potential hazard areas safer. 7. Catering – where’s the food coming from? This is something you will seriously need to consider prior to the event. If you’re going to be serving alcohol then you will need to ensure that you have the correct licences in place. 8. Waste Management – people create a lot of rubbish and you need to have systems in place to deal with this. Make sure you have an ample amount of bins and that they are regularly emptied to prevent overflow and spread of further waste. Having toilets is essential so make sure that you have an appropriate system in place. There are many options here from single portable units to toilet specific trailers, make sure that you account for the number of people and size of the event. 9. Attractions – what’s the point of an event with no attractions? Make sure you get some acts, performances or other attraction in that will help to draw a crowd and keep people entertained. Always remember that it’s safer to have too many than too few, this will ensure people are entertained all night long. 10. Signage – stop being getting lost by ensuring that there are signs in place to direct people to various places in the event. Make sure that these signs are easy to see and won’t get ruined or broken by rain or heavy wind.